An exciting day has been planned by the Cornwall Bird-Watching & Preservation Society for Saturday 3rd August (evening) and Sunday 4th August. 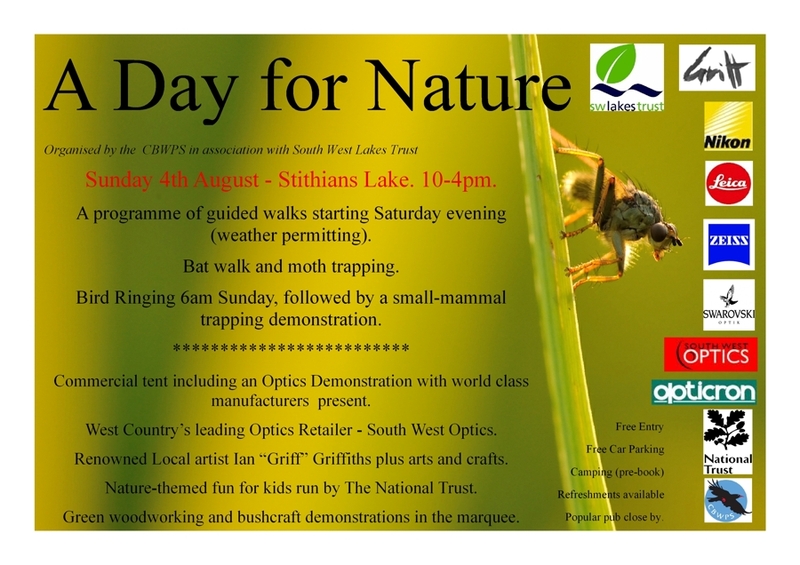 A Day for Nature will include a combination of interesting guided walks, nature-themed fun for the kids (run by the National Trust), green woodworking and bushcraft demonstrations and a strategically positioned marquee bustling with the world's leading optics manufacturers. And thrown in for good measure, leading local natural history artist "Griff" Griffiths will be displaying some of his exceptional talent. More information will be publicised later, but for now, please note the date in your diaries.